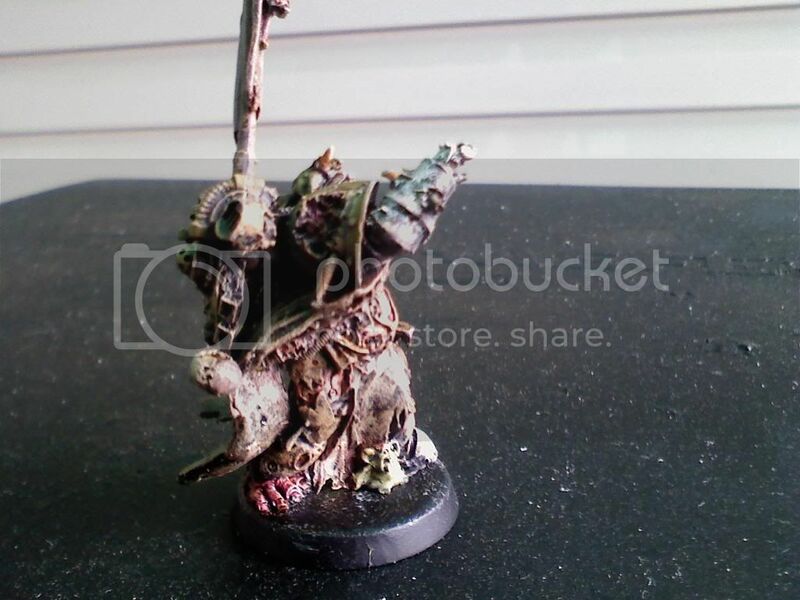 I've posted pics up of my Death Guard from time to time as I get pieces done, but for a while I've gotten side tracked with the release of Daemons and my ongoing Renegade Militia army, so I pushed my beloved DG to the side for a long time. Well, I've decided to get my priorities in order and for about a week I've been working on finishing the models I have. So this here topic will be updated from time to time when I get pieces finished or to show my progress thus far. I will tell you, it's taken a while to collect this army... 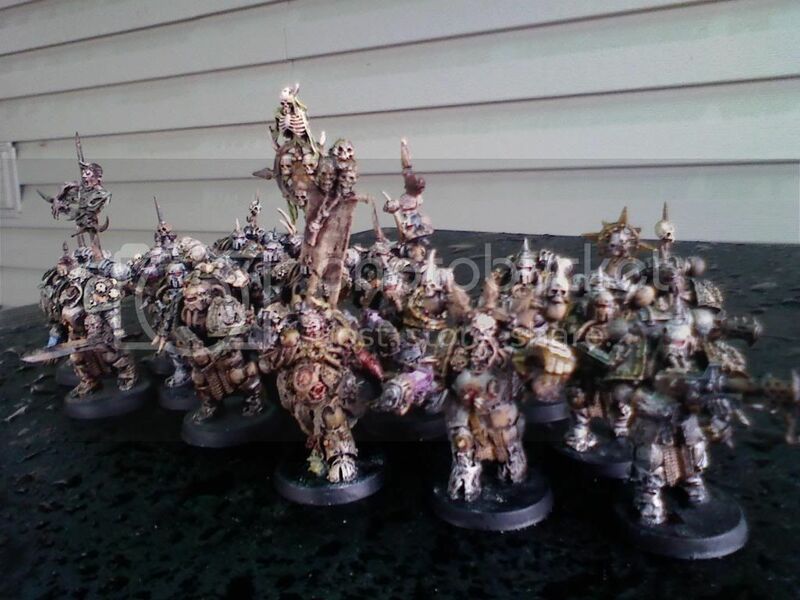 I originally had a Death Guard army I started back in '02, which I built upon for years until Forge World (aka the bane of my bank account) released their beautiful Death Guard kits. 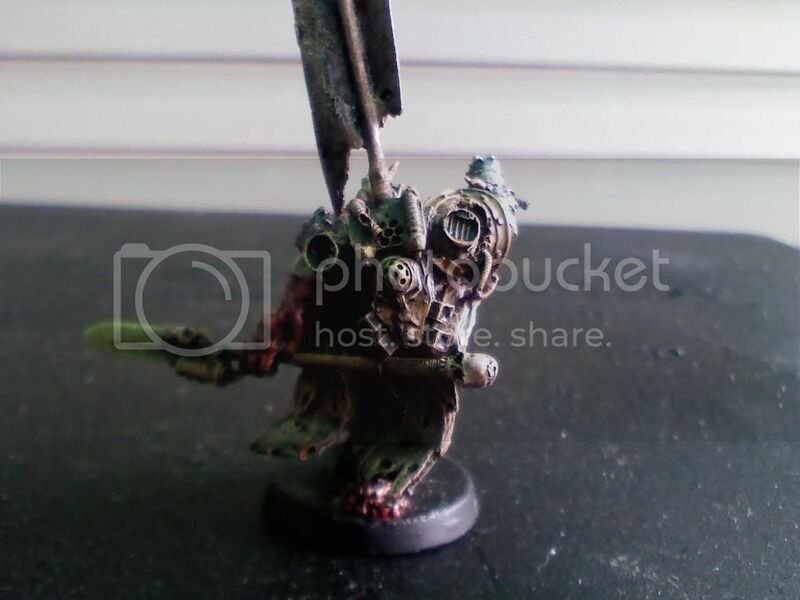 By that point, I had already picked up a bunch of DG conversion pieces for my tanks and a couple Dreadnoughts to smooth out the army. But this... this was different. I began saving up and eventually made my orders. 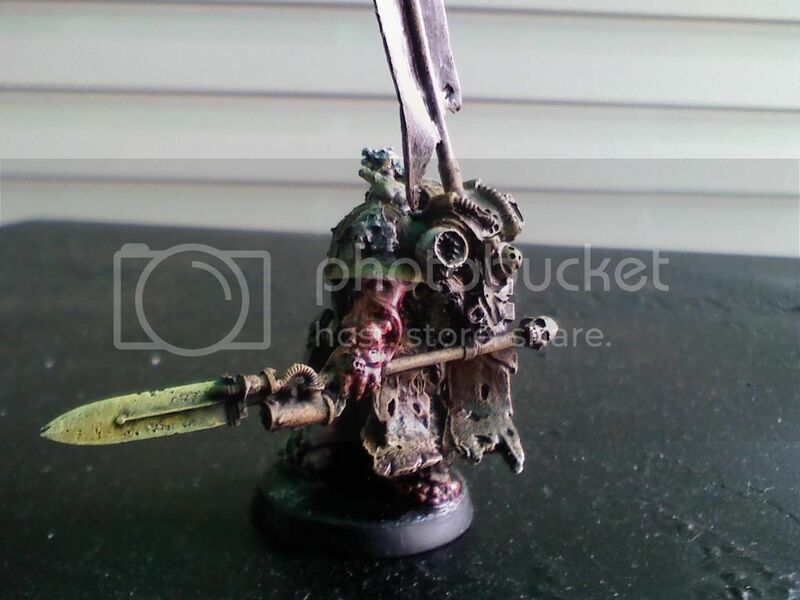 The first order was to be 3 kits of 10 Plague Marines and 1 kit of 5 Terminators, which FW got the other way around much to my disappointment. Much to my happiness (and GWs great marketing strategy), they fixed the issue and also let me keep the additional Terminator kits. It's taken me up until now to complete the models. At this point I now have a full Forge World Death Guard army, consisting of 60 Plague Marines, 14 Terminators, 3 Dreadnoughts, a Death Guard Sorcerer, a Death Guard Terminator Lord, 3 Rhinos, a Land Raider, a Dread Claw, my custom built Defiler, and 2 Vindicators. 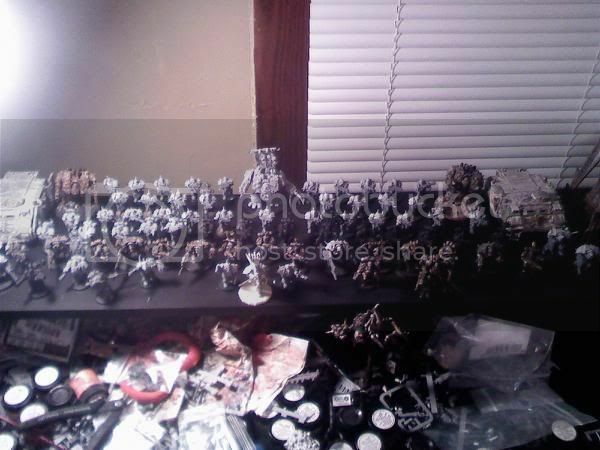 My resolution is to avoid purchasing anything else until I finish painting this army to completion. 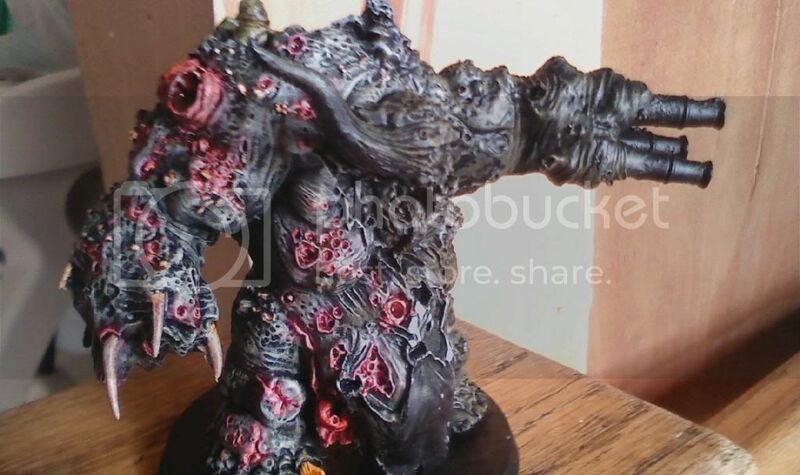 And with that said, I received my FW Daemon Prince of Nurgle today, (which will be used for my Daemons, BTW) hehe! In any case, enjoy my work, I love comments and criticism, I'll be updating when I have the chance, and I'll apologize in advance for the sometimes weak photos... I've been using my cell phone's camera for pretty much all my pics, but I'm working on building a light box and I just got my fiance a digi-cam so I'll be trying that out. Edited by DuskRaider, 23 June 2009 - 06:55 PM. Hey folks, just a quick update. 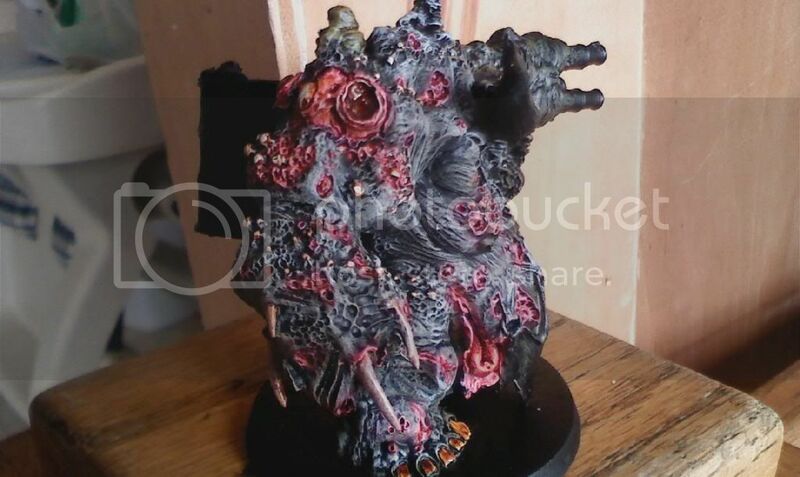 Here's some more photos of the Nurgle Daemon Prince. He's coming along nice, IMO. Should be done tonight or tomorrow. 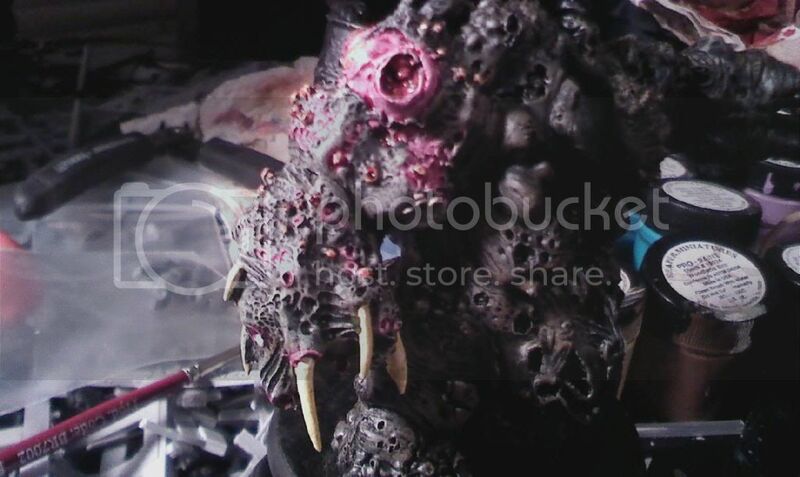 Here's another picture I just took... all of the boils, blisters, exposed flesh, and so forth are completed. All that's left is his tabard, toenails on his left foot, and metal workings, then he's finished! Next up is his Herald. 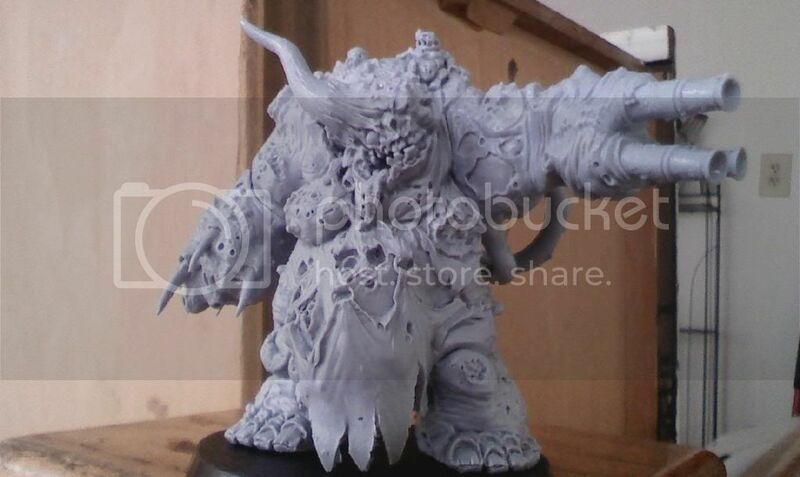 OT: what is the casting like in that model? any bubbles or warping on the parts? Thank you! 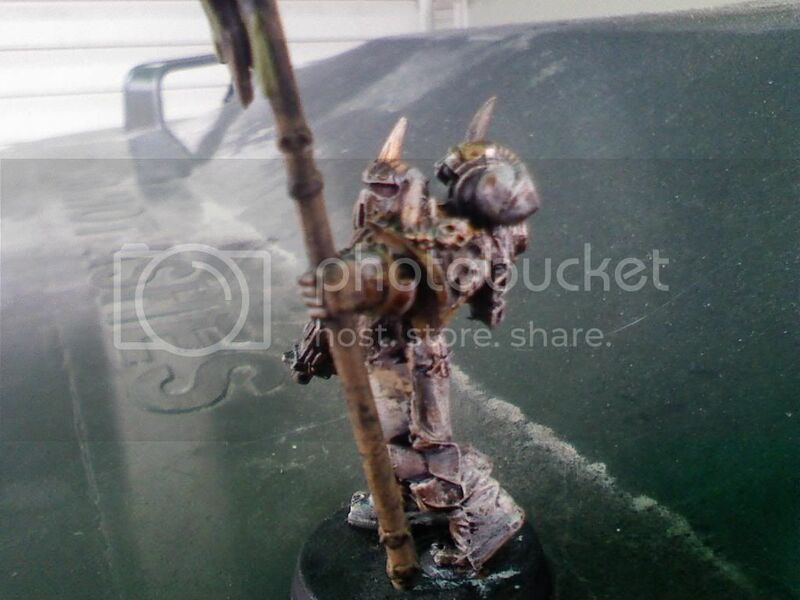 The casting was actually really good, both the Daemon Prince and Herald came out with no warping at all... Seems resin has that problem often, my Minotaur Earthshaker Cannons are warped and it's a pain fixing. No bubbling either, but really I don't think you'd notice with these guys, they're so covered in boils and such, haha. I'll post pics of the Herald tomorrow, I started AND finished him today. wow this is a nice looking army you got here. I like the DP but i REALLY like that PM! 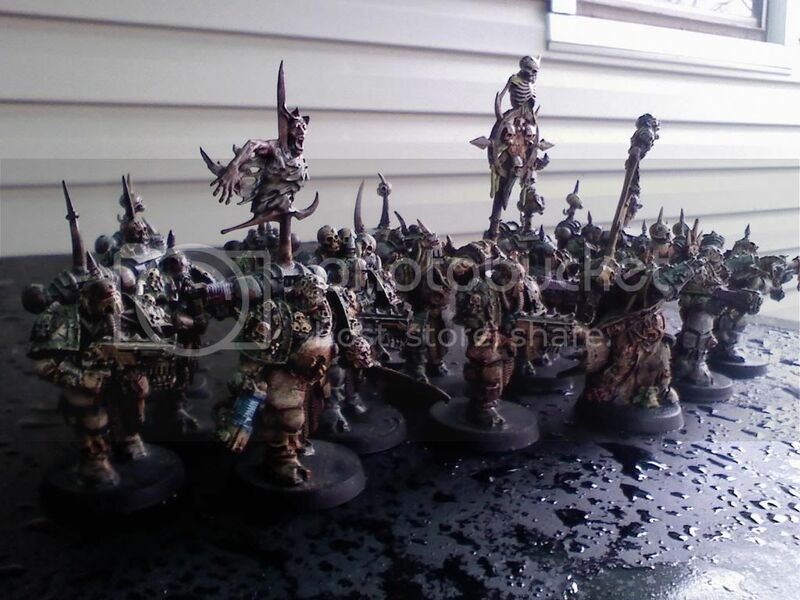 how many have you painted? 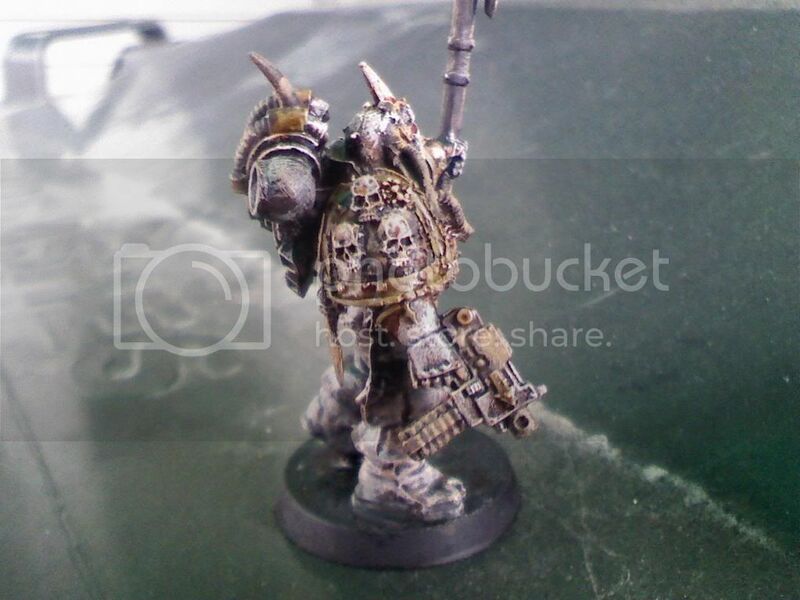 At the moment I have around 10 of my Plague Marines painted. 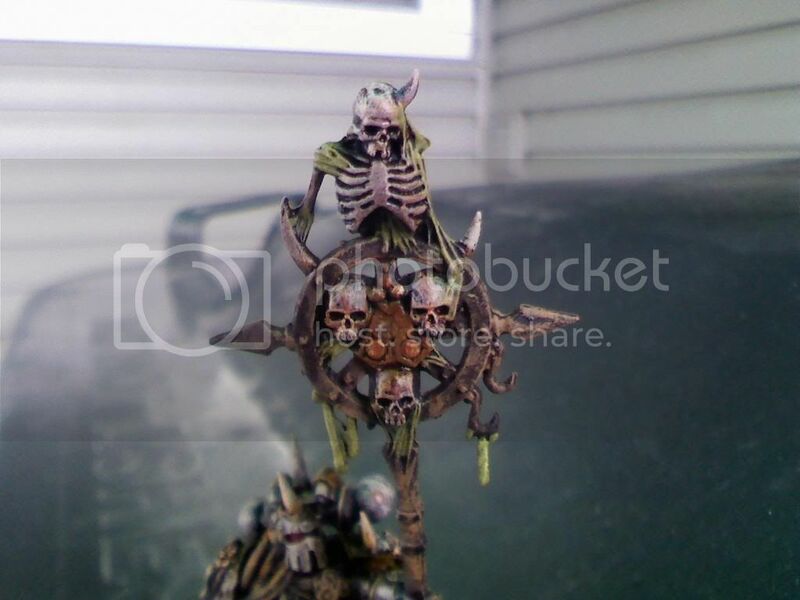 My older models are completely painted, when I started on these guys I had a bunch of other projects on my plate as well (mainly Daemons) that took away my attention. 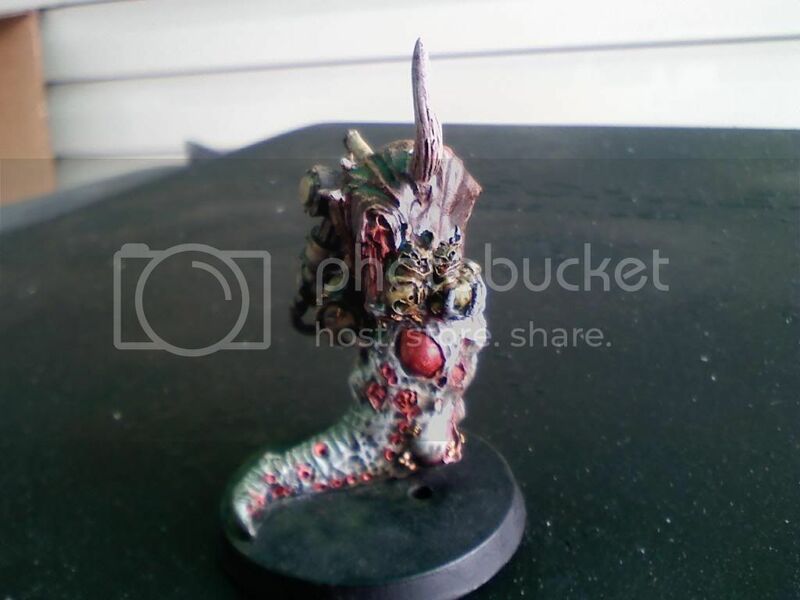 I'll be getting back on track now, I painted the Daemon Prince and Herald, got it out of my system... which reminds me, I'll be posting pics of the Herald soon. He turned out pretty nice. Well, as promised... 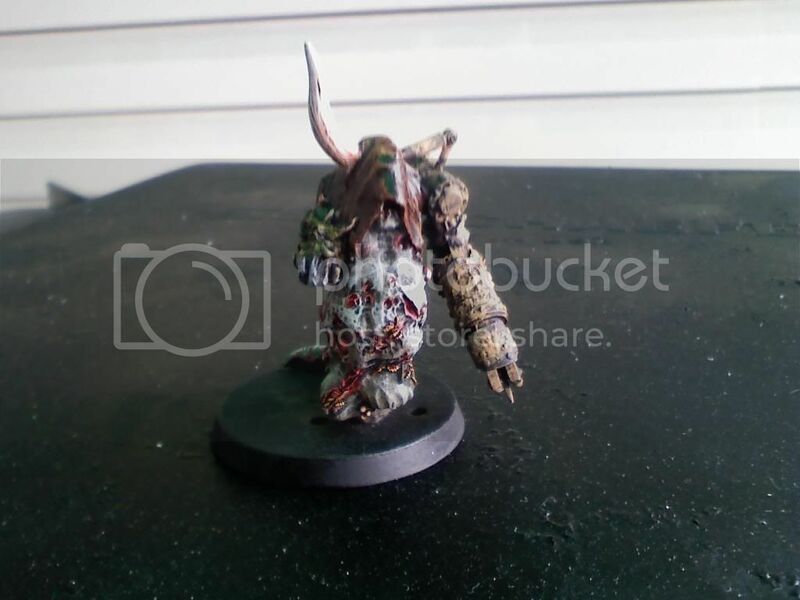 I bring you, my Herald of Nurgle! This guy's actually really nifty and I love that Forge World gave me a second model to compliment the astounding Daemon Prince. 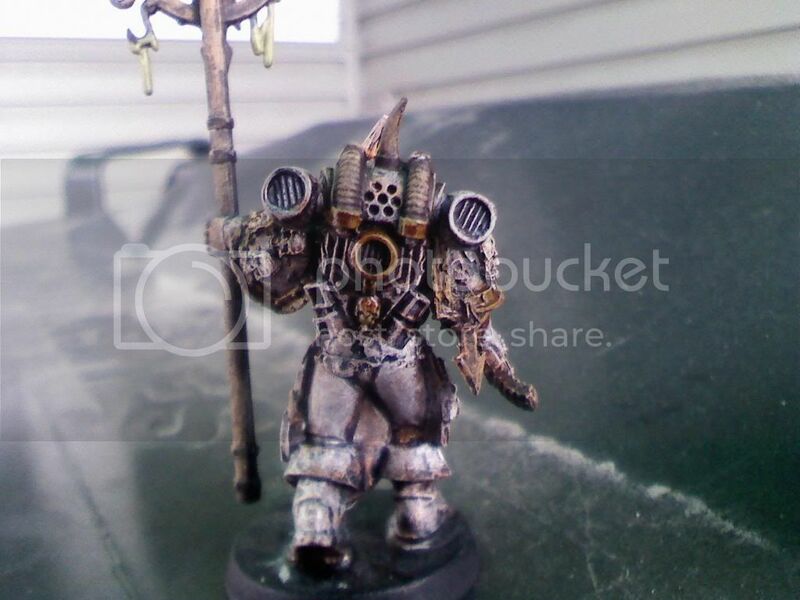 This guy reminds me of a cultist from Dark Mechanicus or something... maybe a preview of what FW has in store??? Sweet stuff, keet it up! 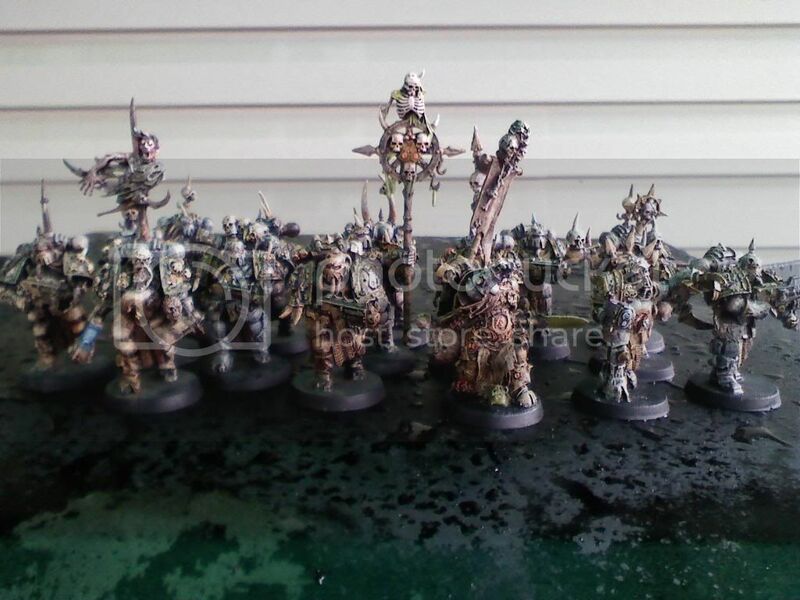 Just another installment of my Death Guard army. 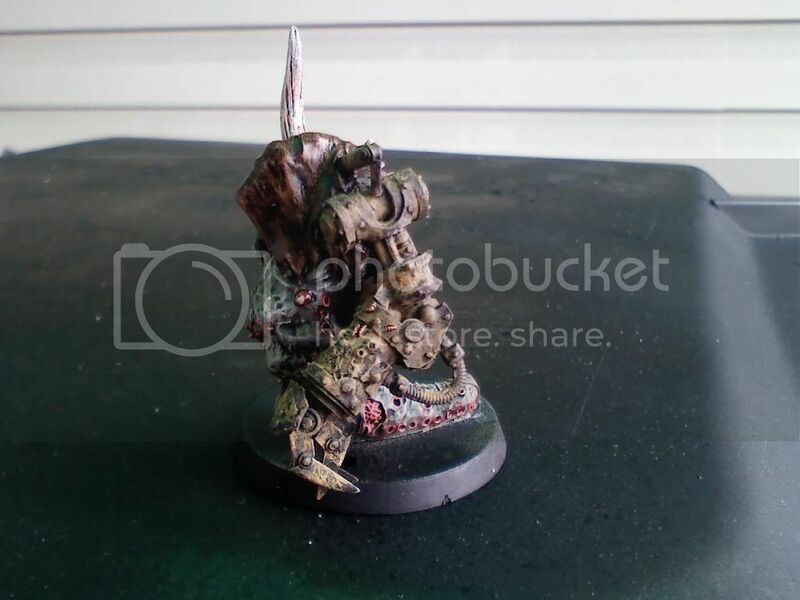 This time, I'm working on my Sorcerer... which is kinda weird, since I detest using Sorcerers. Ah well, I love the model. Bear in mind, it is just WIP at this point. Incredibly sickening but in a really cool way. Keep it up dude. Thanks, friend-o. He's just about completed, I'll have finished pics of him up tomorrow morning most likely! Well, the Sorcerer is done. He turned out decent, his Force Glaive actually has a glowing effect in person, I think the lighting I took the picture in goofed that up. In any case, enjoy! Edited by DuskRaider, 04 April 2009 - 03:26 PM. can we see your PM's though? 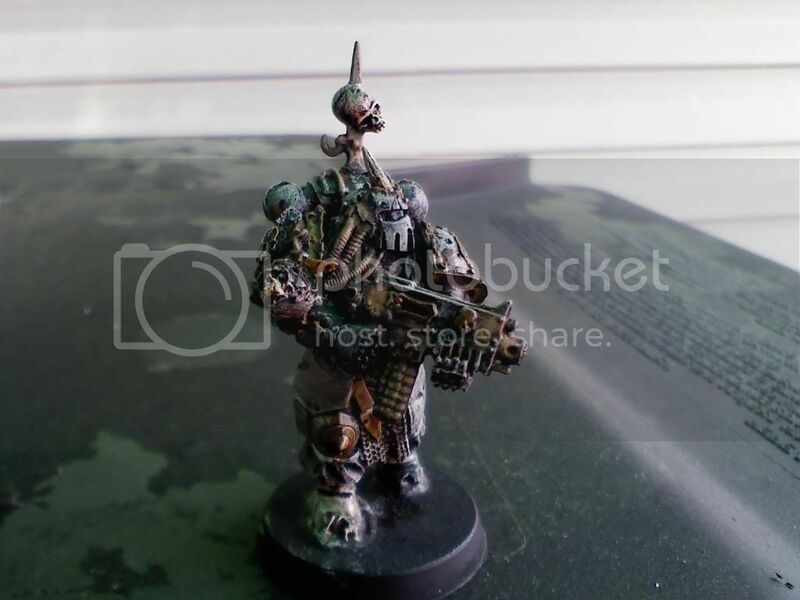 and a paint guide for them? Look at this, two updates in a day! 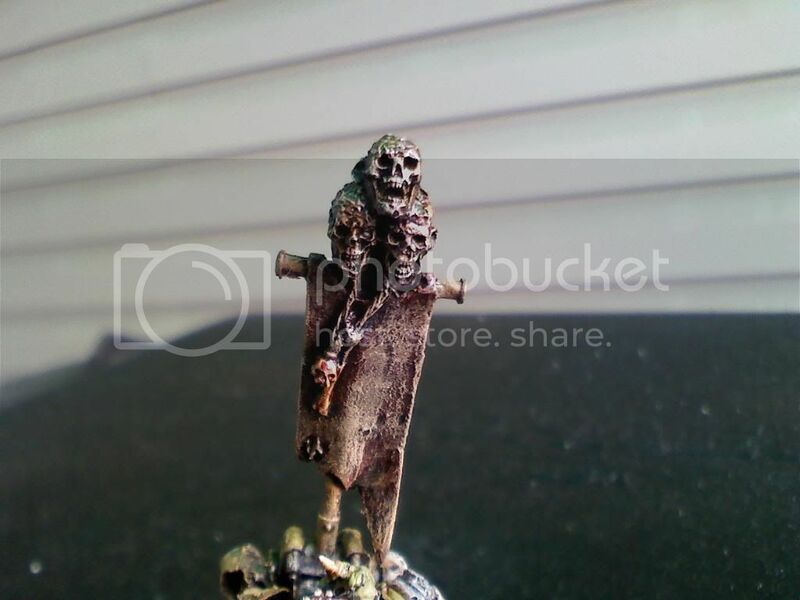 Here's my Icon Bearer, which also doubles as an Aspiring Champion's Personal Icon Bearer in my PM squads. Edited by DuskRaider, 04 April 2009 - 08:08 PM. Update! 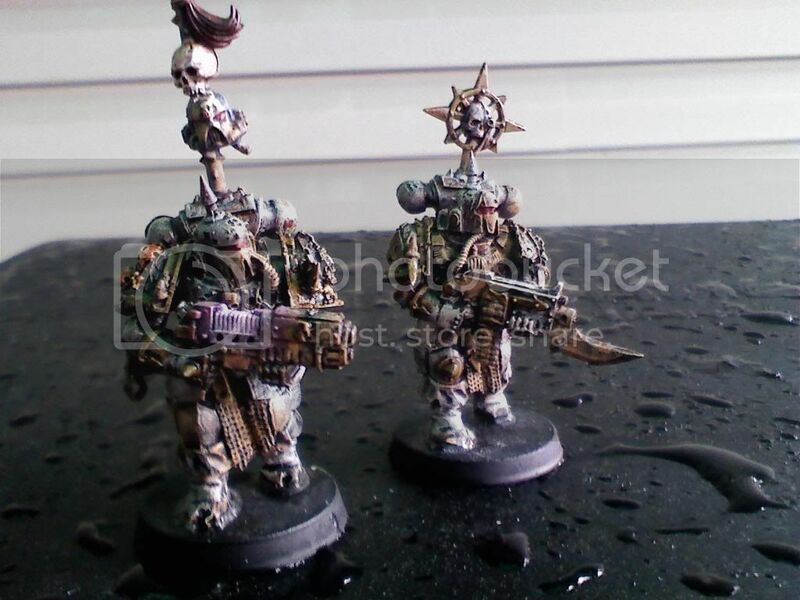 Finished 4 more Death Guard since my last update, and as of writing this, I have 5 more that are also almost finished. I've also taken a group shot of those completed thus far. oh man. 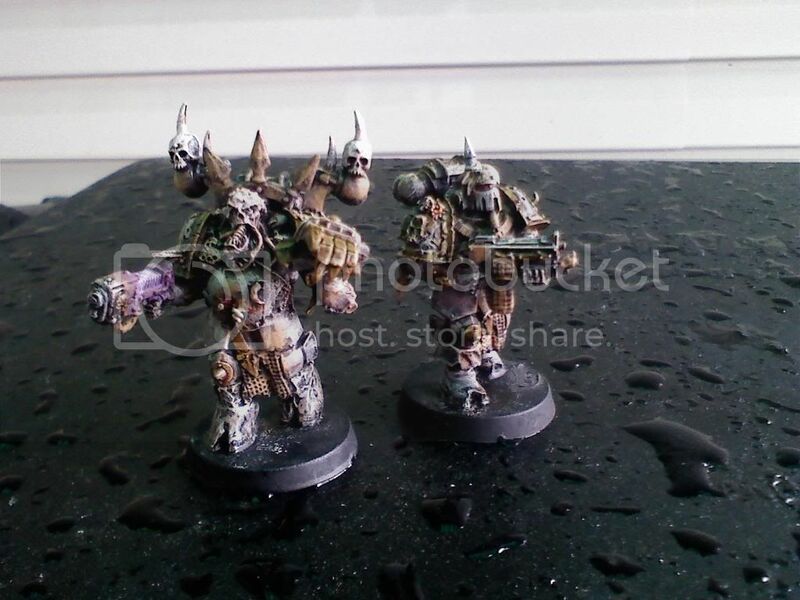 an army of space marines up on ebay HERE!!! Pretty cool. I like it, subdued but cool. Excellent work i look forward to seeing the end result. i like the painting a lot. 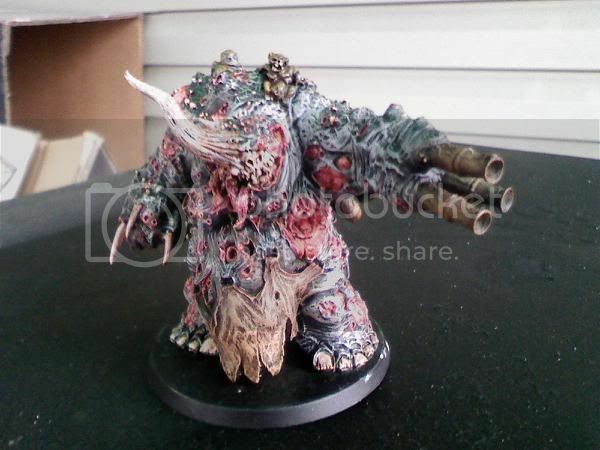 it is smooth and professional yet retains the nurgle disgusting feel. i don't know how to describe it fully other than i like it alot more than some of the usual toothbrush flicking of browns and greens. ps. 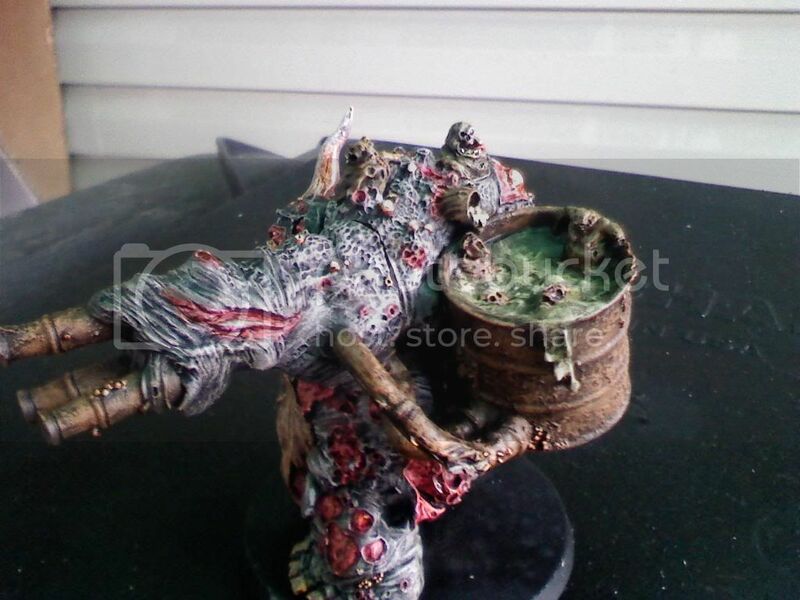 i love the fw daemon prince's hot tub, you see the nurglings "just chillin"
The Chinese actually pronounce it as "nucular"